Ho says that though not a Buddhist, she took the Dalai Lama as her most respected teacher. “His guidance is so powerful because he squares his words with his conduct,” she wrote. Ho Likely met the Dalai Lama in the Japanese city of Osaka, where he has been giving religious teachings from May 10 to 13. Though the Dalai Lama has been seeking reconciliation with China over the last several decades, asking for autonomy, not independence, for his homeland in strict accordance with China’s own constitutional provisions, the later has continued to view him as its arch enemy, condemning him with all manners of abusive epithets by calling him a separatist leader. 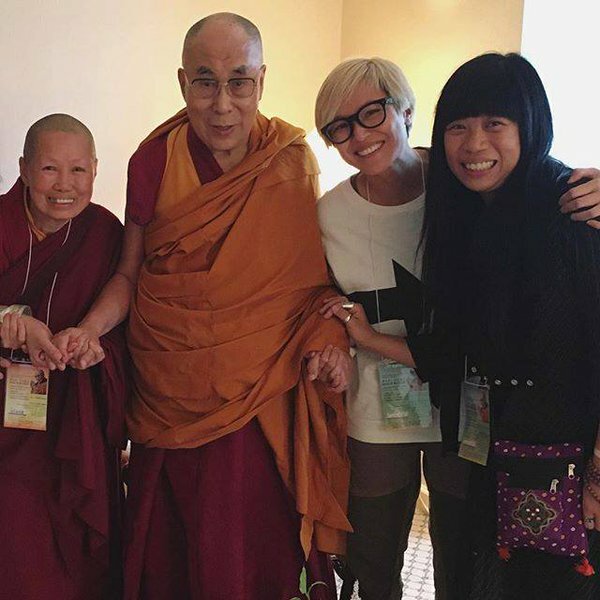 Hong Kong’s Canto-pop singer and celebrity Ms Denise Ho Wan-see has said she had met with the Dalai Lama on May 10. Canada-educated Ho has been actively involved in political movements in Hong Kong in recent years, including in the globally publicized 2014 Occupy Movement. She was the first Hong Kong celebrity to be hauled away and arrested for taking part in the protests, during the police clearance of Admiralty, noted SCMP.com May 14, reporting on her meeting with the Dalai Lama. Ho has enjoyed growing success in the Mando-pop market, with reportedly 80 per cent of her income coming from the mainland, the report said. It noted, however, that her vocal support for the Umbrella Movement might turn out to be career suicide. The report said there had been repeated calls for pro-Occupy celebrities to be banned from the mainland – including a commentary in central government mouthpiece Xinhua which condemned Ho for “betraying” the motherland. Ho has said, however, that she valued democracy and social justice far higher than money, vowing to fight on for democracy despite the backlash. Earlier, renowned singer-songwriter Faye Wong and award-winning actor Tong Leung Chiu-wai from Hong Kong and mainland actor Hu Jun were severely reprimanded by China in its official media but they attended a Buddhist assembly in India presided over by the 17th Karmapa Ogyen Trinley with members of the exile Tibetan government in Feb 2016.